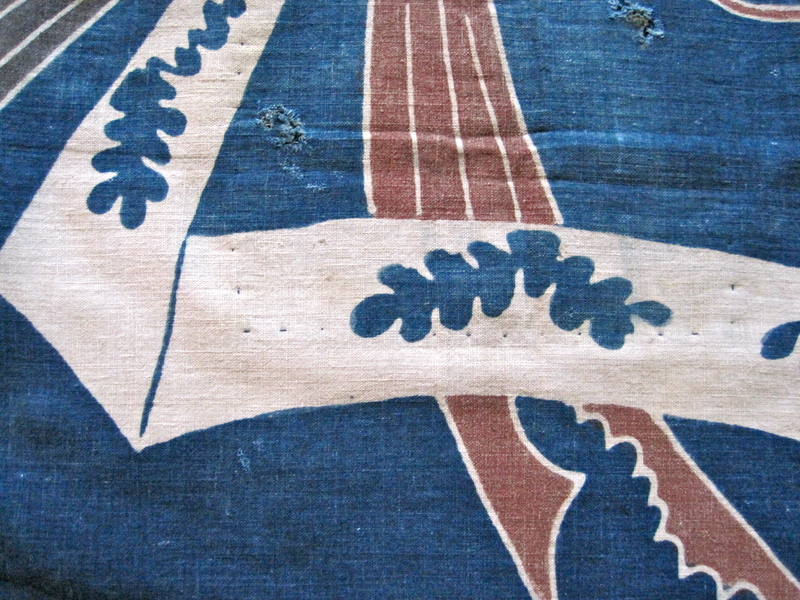 This Meiji era furoshiki depicts a bundle of noshi. 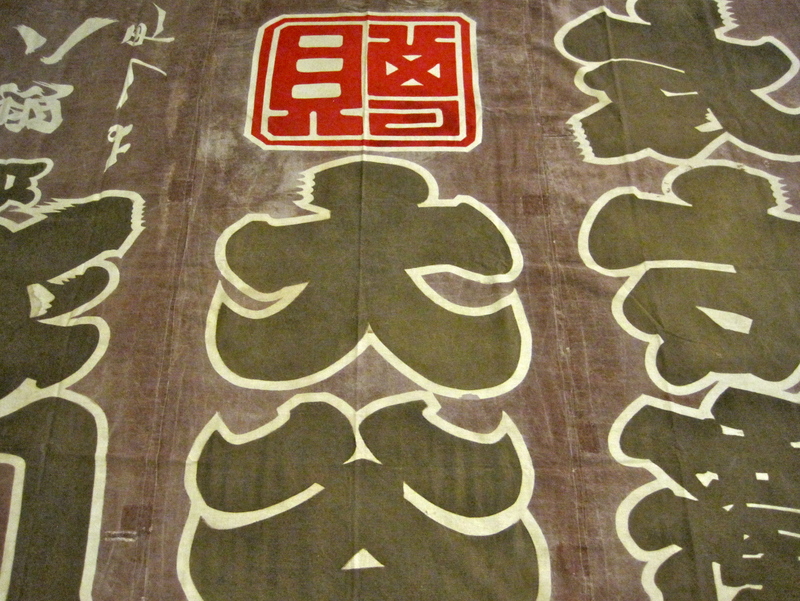 These were strips of dried abalone given as gifts in old Japan. 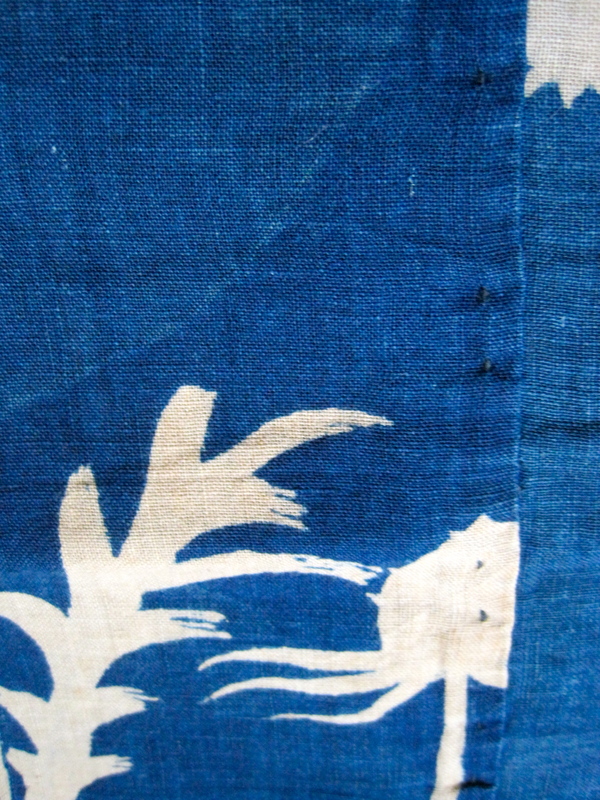 Over time the noshi developed into an auspicious design that can be found on many Edo and Meiji era items that were originally meant as gifts. 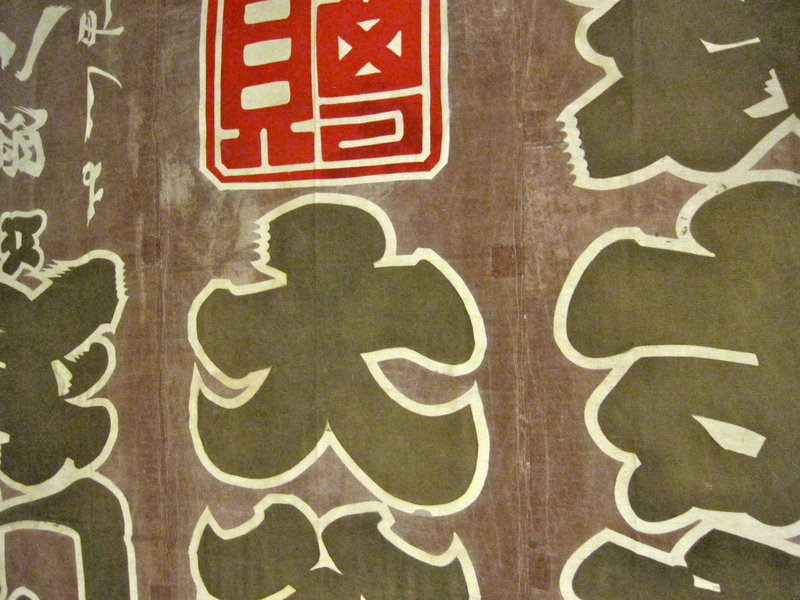 the symbol came to represent a wish for good fortune and prosperity. 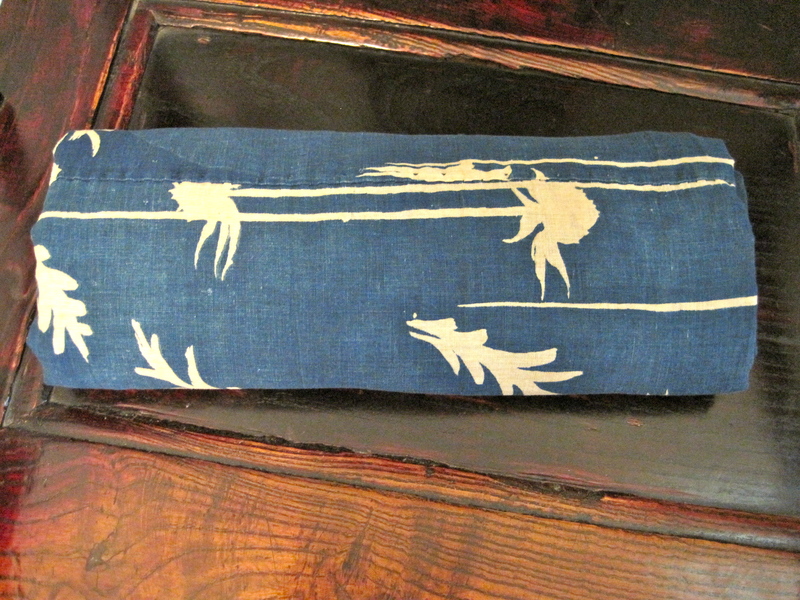 This furoshiki employs indigo, persimmon, and sumi ink dyes. 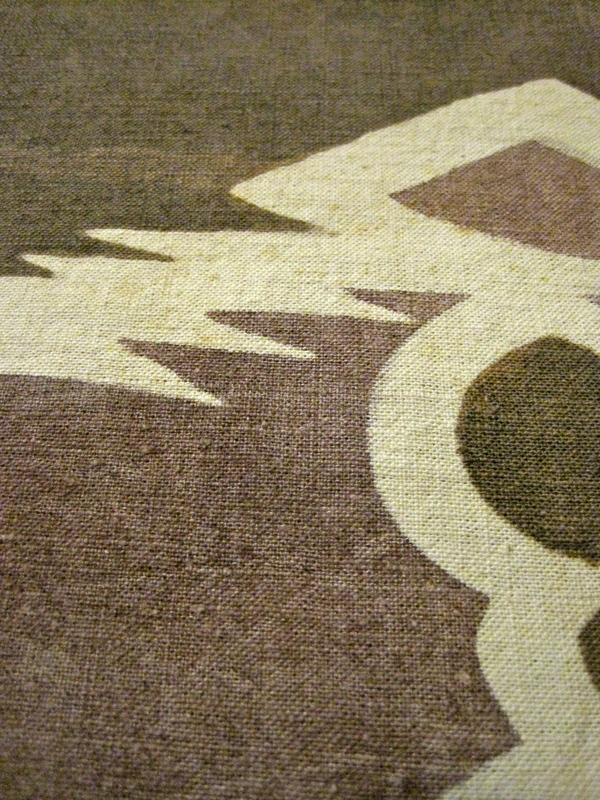 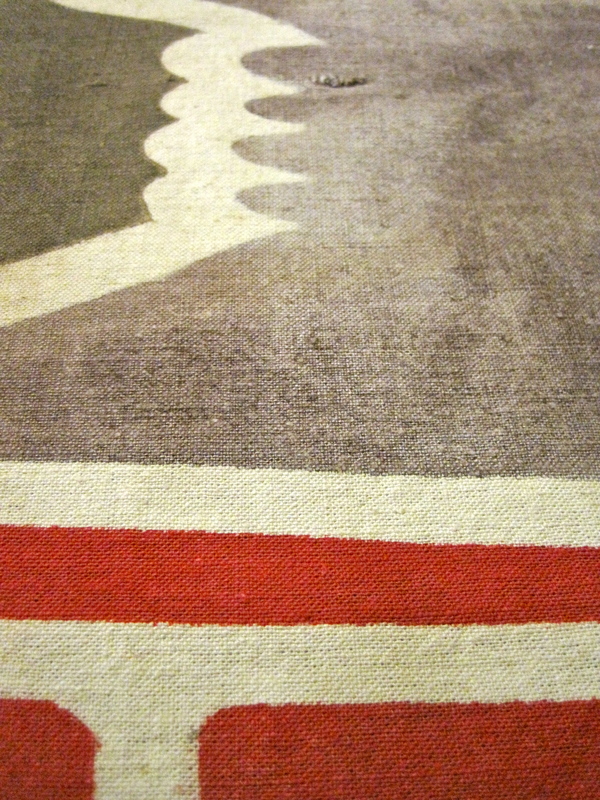 The design was created by using rice paste in a resist technique known as tsutsugaki. 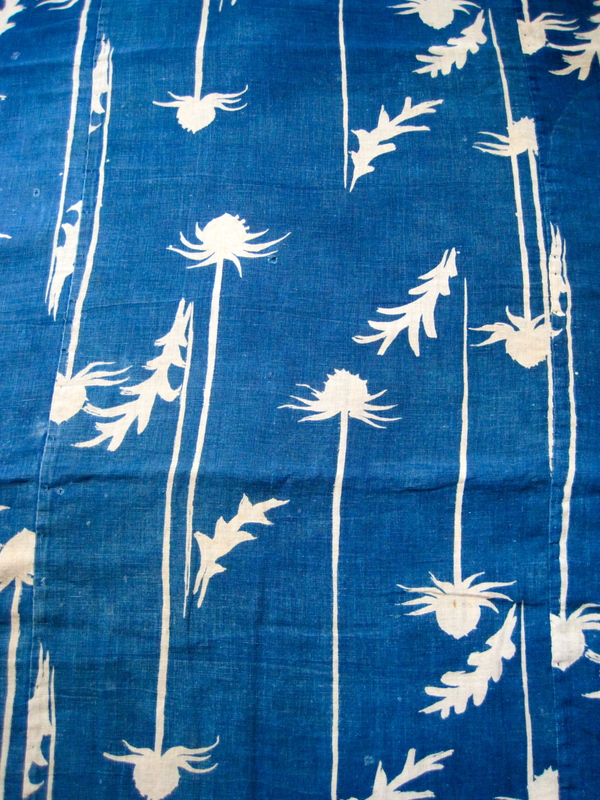 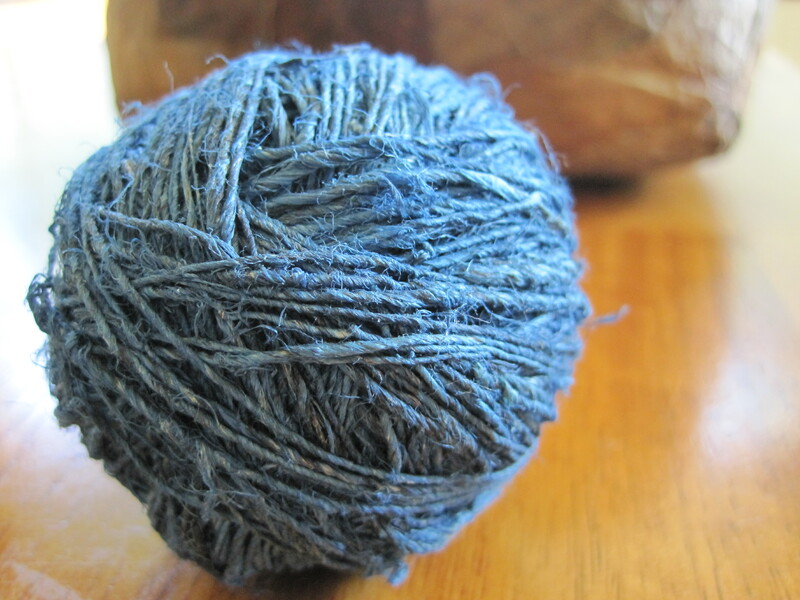 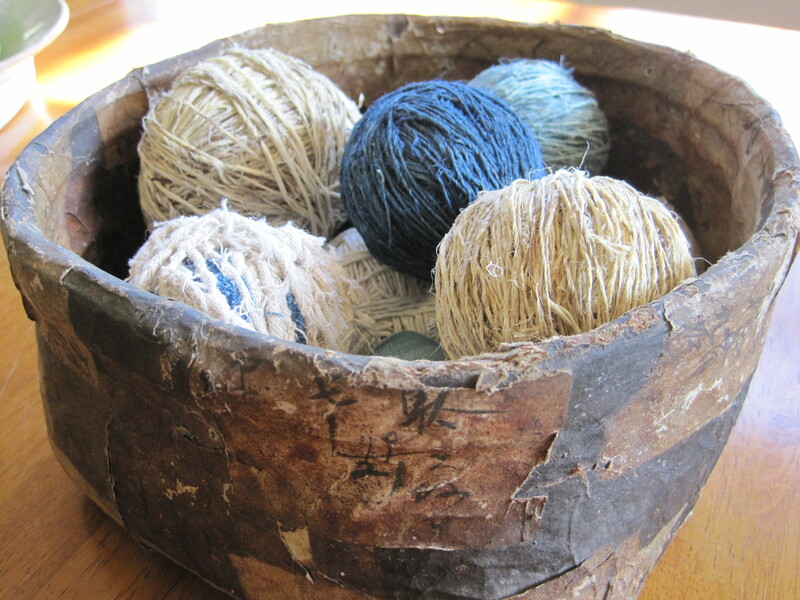 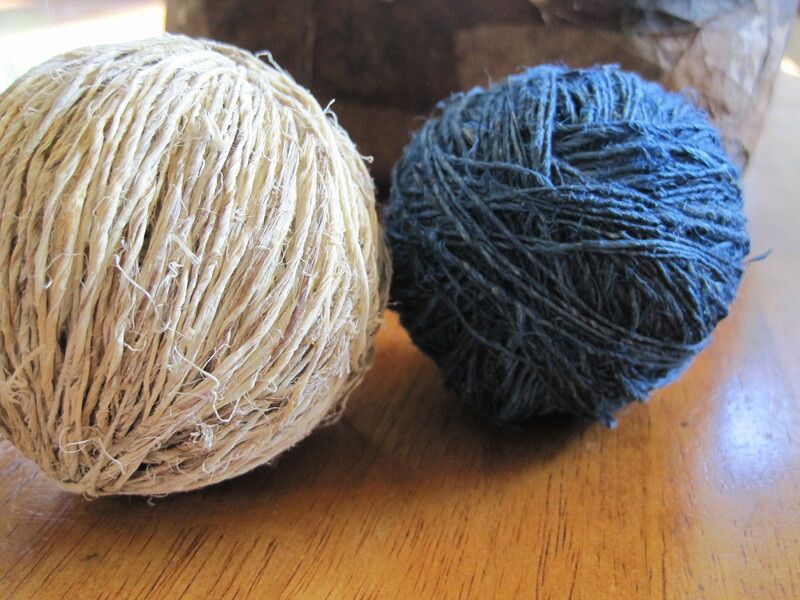 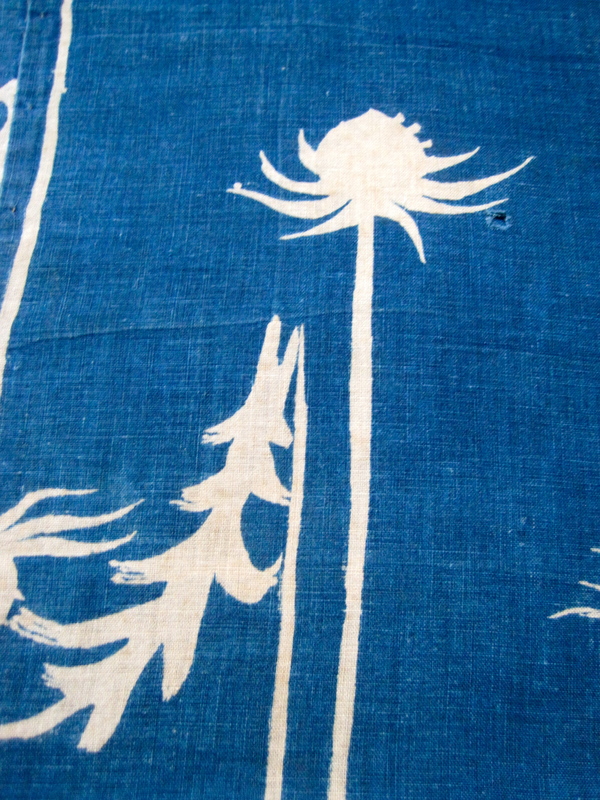 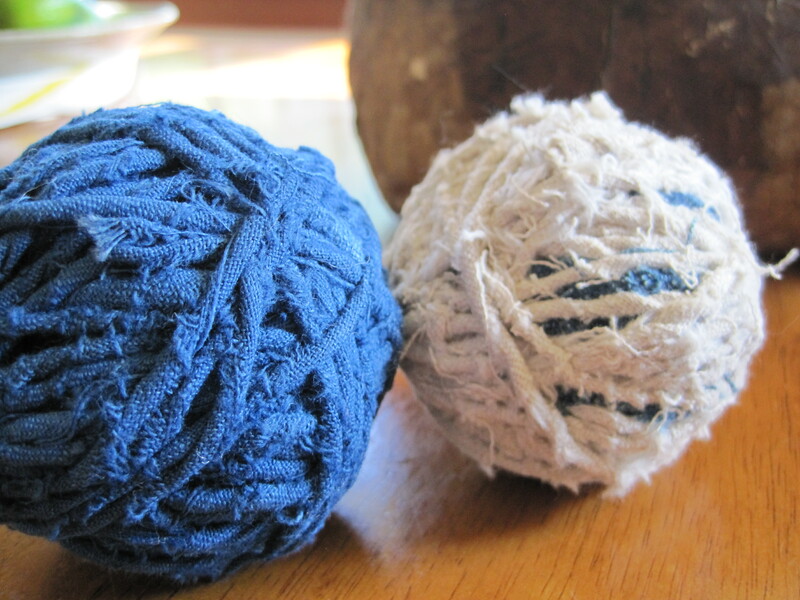 I love the way the imperfections in the noshi are represented, I also love the deep indigo background color. 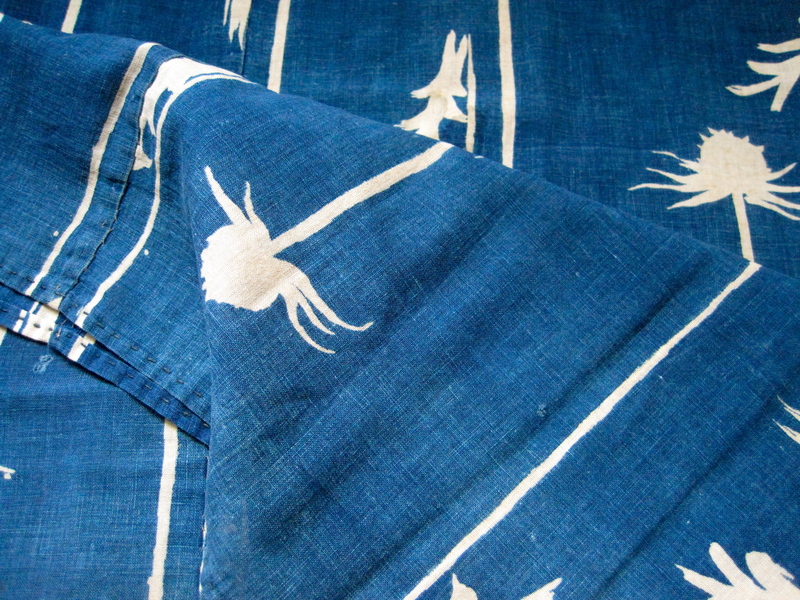 This furoshiki has several big patches which makes me think that it was extra special. 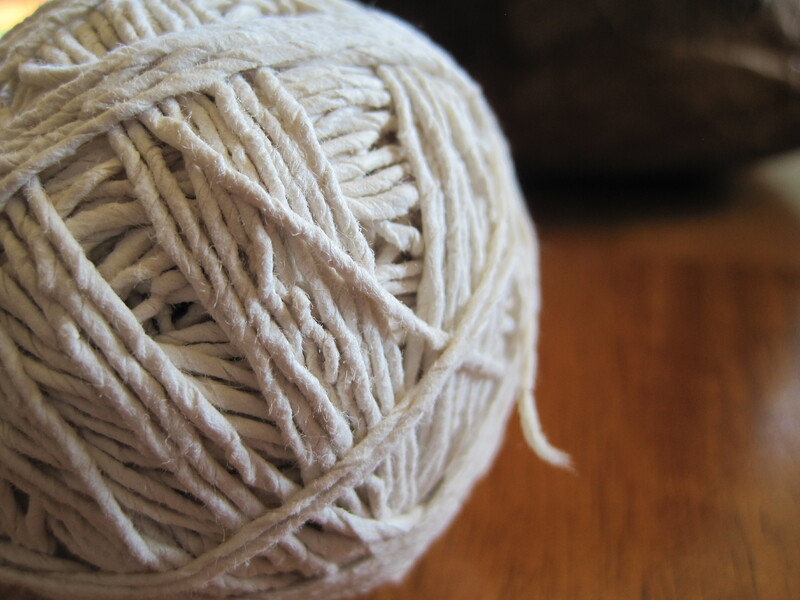 I know someone treasured it due to all the work they put into mending it. 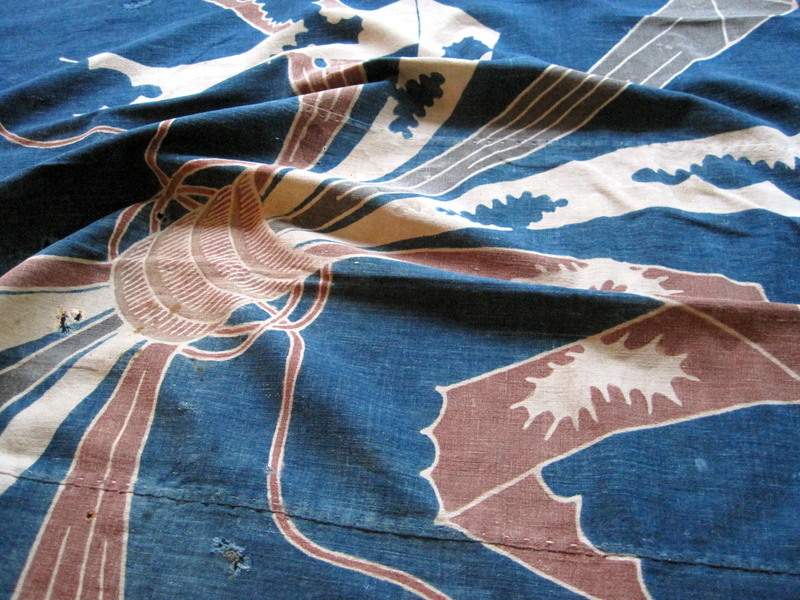 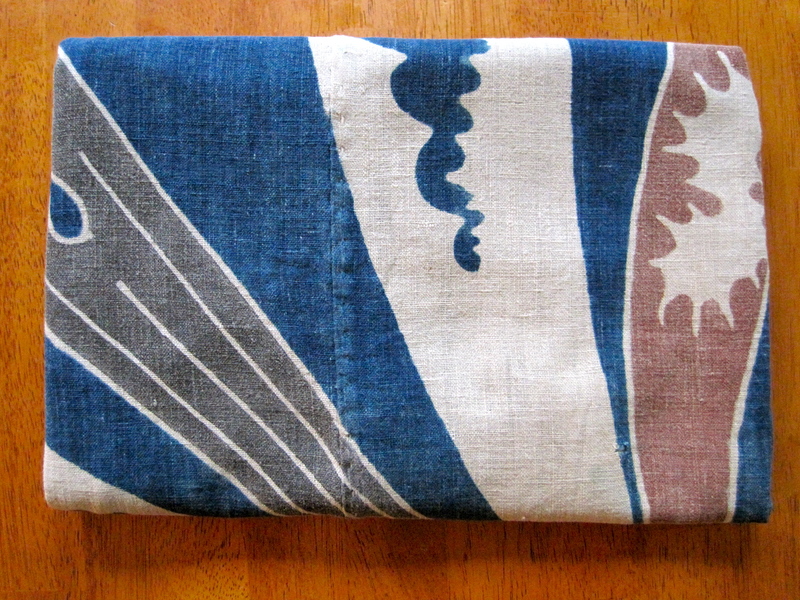 This is a furoshiki, or “carrying cloth” made from three sections of an old Japanese banner. 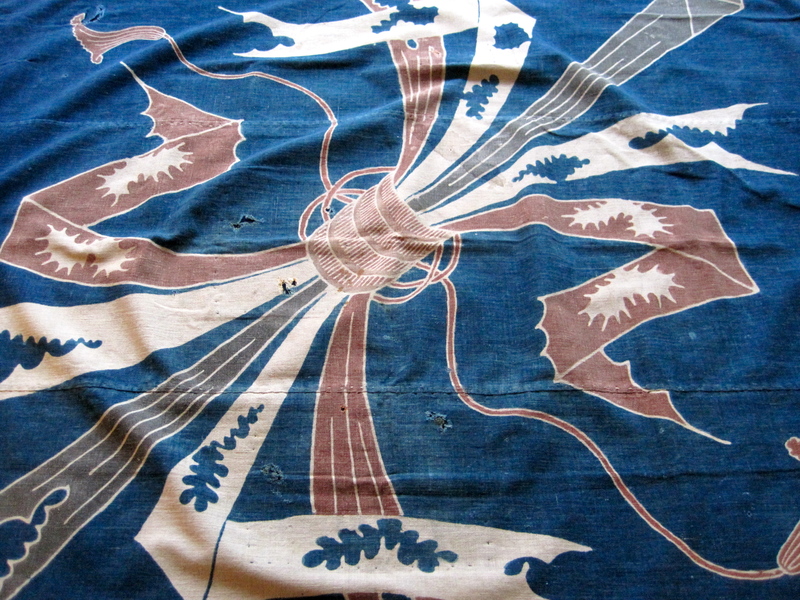 It was produced in the early to mid 20th century. 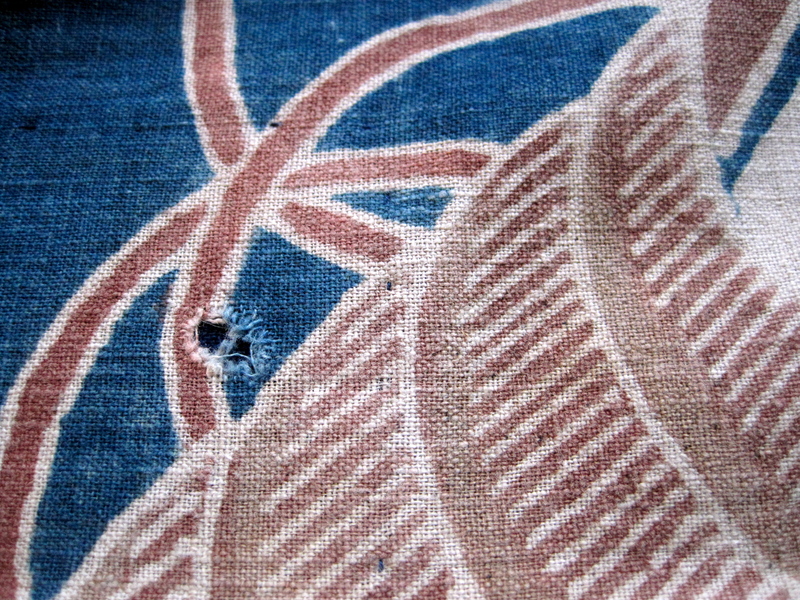 and was dyed using fermented persimmon dye. 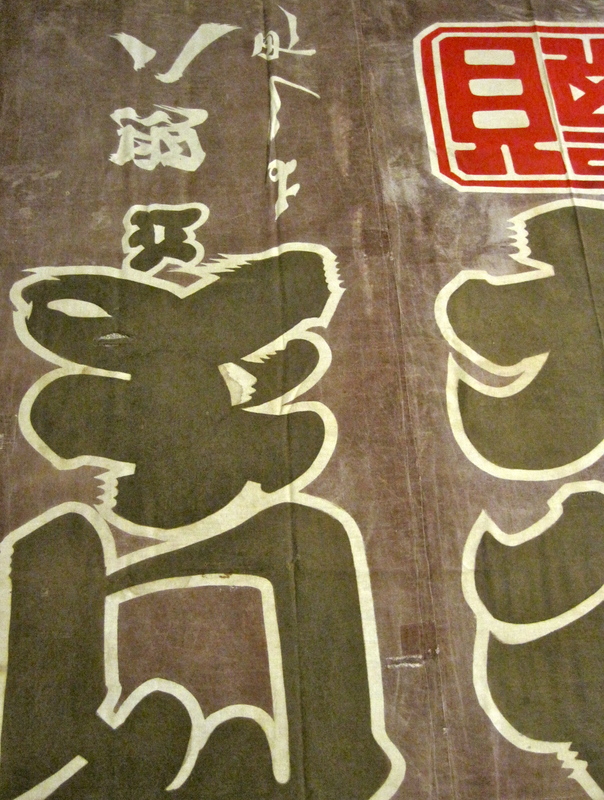 The kanji was produced using a technique called tsutsugaki. 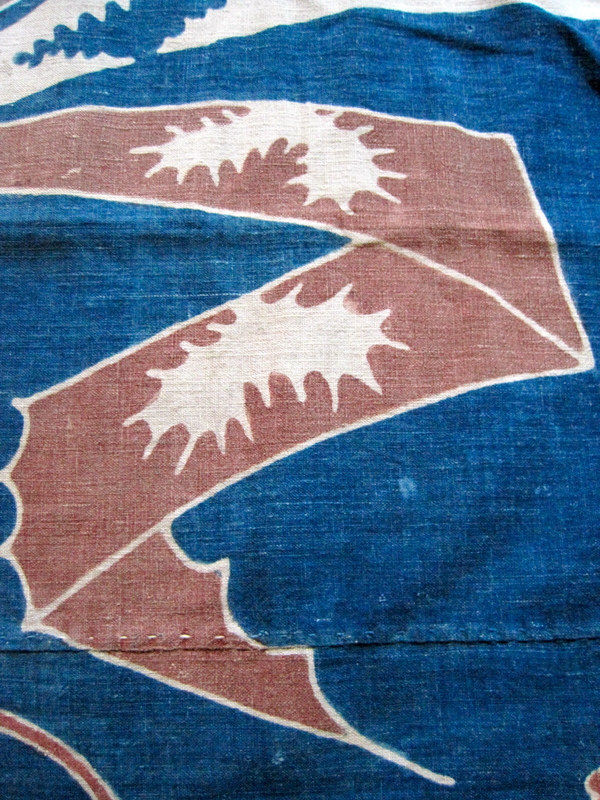 This furoshiki is a great example of the Japanese idea of mottainai or “nothing wasted.” Notice the third section of the furoshiki where the kanji are upside down. 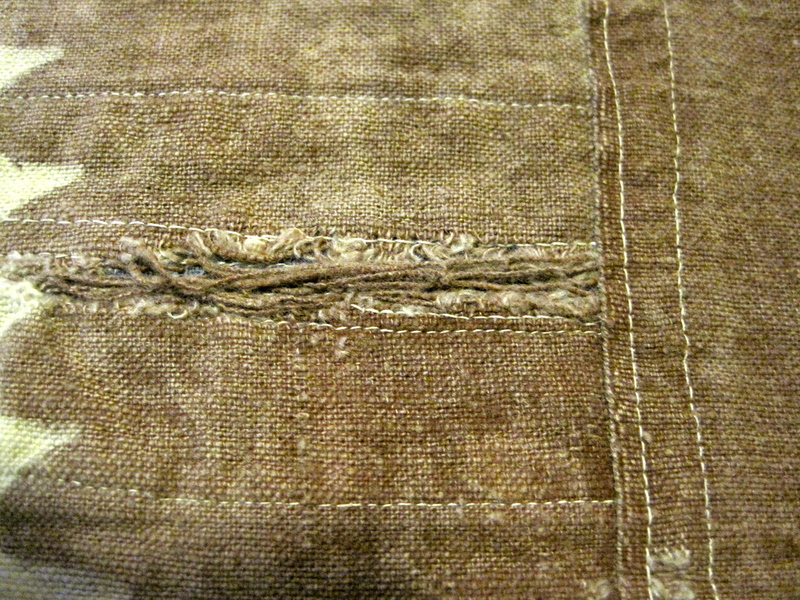 The darker portion above is where the banner would have been attached, via a fabric tab, to a pole that held it aloft. 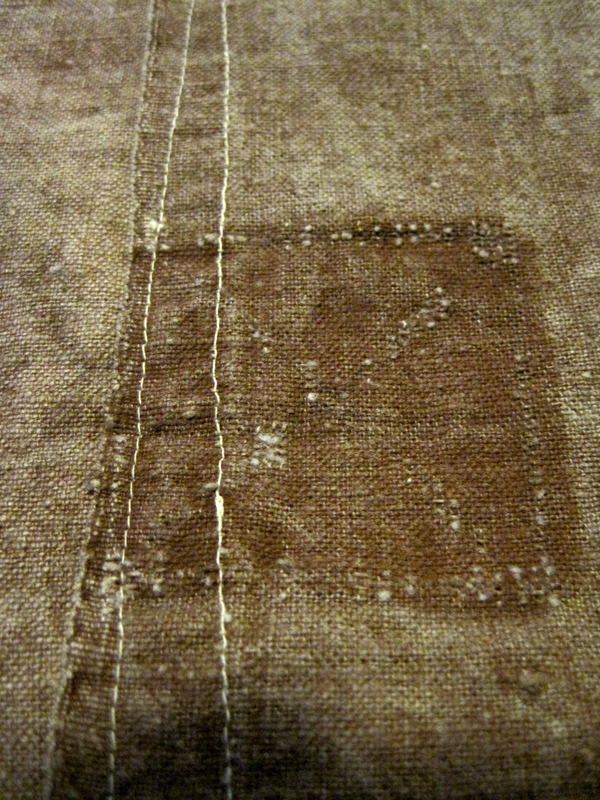 It remained dark while the rest of the banner was sun bleached.